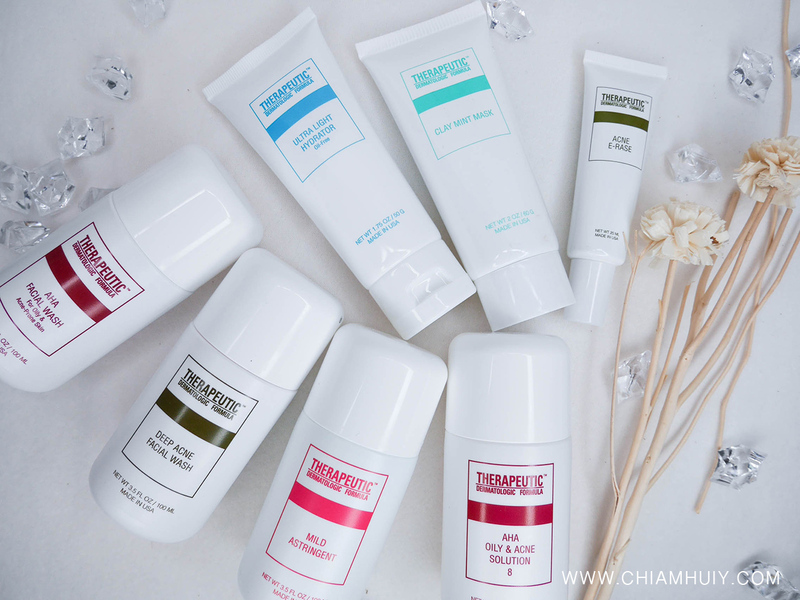 I'll be talking about two of their skincare ranges that tackles different skin issues - Oily & Acne prone and Dry and Dehydrated range. Today's post will focus on its Oily & Acne prone range. 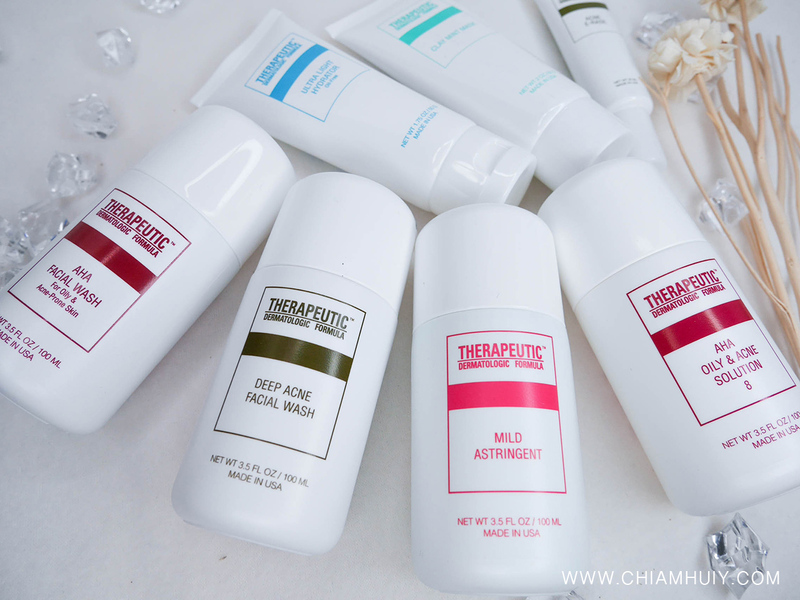 The products are also labeled on chronological order for a typical skincare regime. I've given the Deep Acne Facial Wash a try and I find it a tad dry. 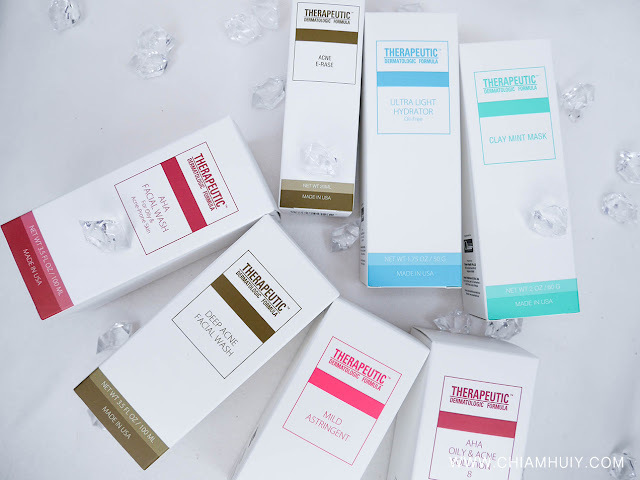 Most likely formulated for acne and oily skin, this has to deviate a little more towards drying formula in order to cater to naturally oily skin types. This product is formulated with multiple combinations of exfoliating agents and natural antiseptic tea tree oil (often known for its effective uses to tackle acne), which helps to defend your skin against acne-causing bacteria and minimise breakouts. Direction: Apply evenly on wet face and gently massage away dead skin and blackheads. Another possible acne cleansers then you might want to try out AHA Facial Wash. TDF AHA Facial Wash is best for oily and acne-prone skin. 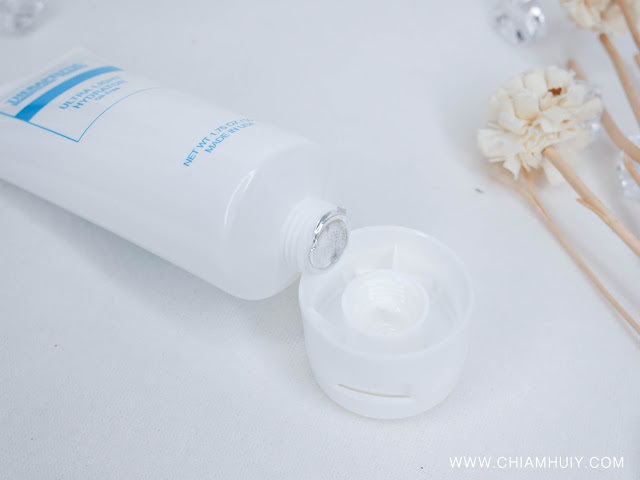 A little similar to the previous cleanser but the main difference is that this comes with more hydrating and soothing effect, thanks to the botanical and marine extracts, along with AHA ingredient. Basically, it helps to prevent flare-ups while deeply cleansing the pores, leaving your skin more refreshed and supple. Sad to say, the Mild Astringent surly doesn't smell nice. It actually smells a little like dettol or antiseptic. Nonetheless, this clarifying toner removes traces of makeup and impurities to leave your skin thoroughly cleaned. 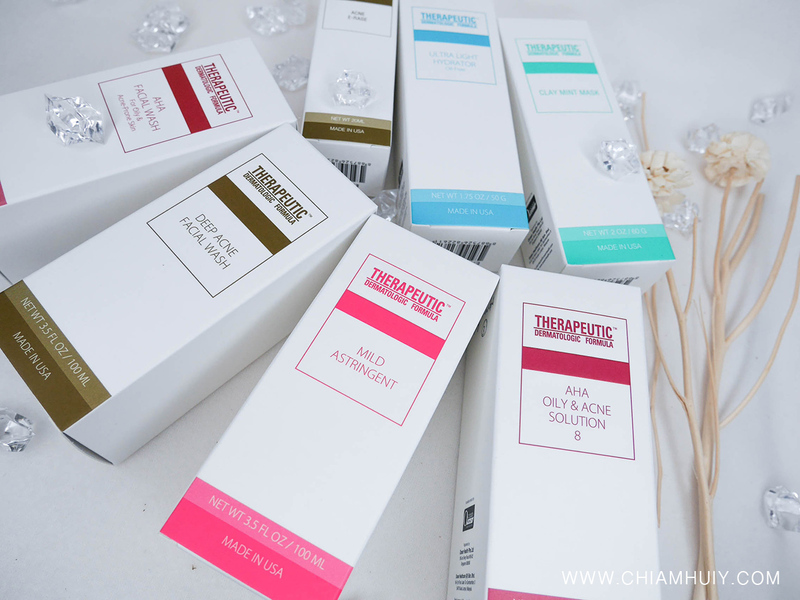 This is great to maintain health pH level for your skin, which aids the absorption of serum and moisturiser after the toner. At the end of the day, it tightens your pores, controls acne and clears blackheads. Also recommended for oily skin. Direction: Soak on a cotton pad and apply on required areas. Since it's only applied on required areas, I reckon the bad smell isn't that bad and can be tolerated. 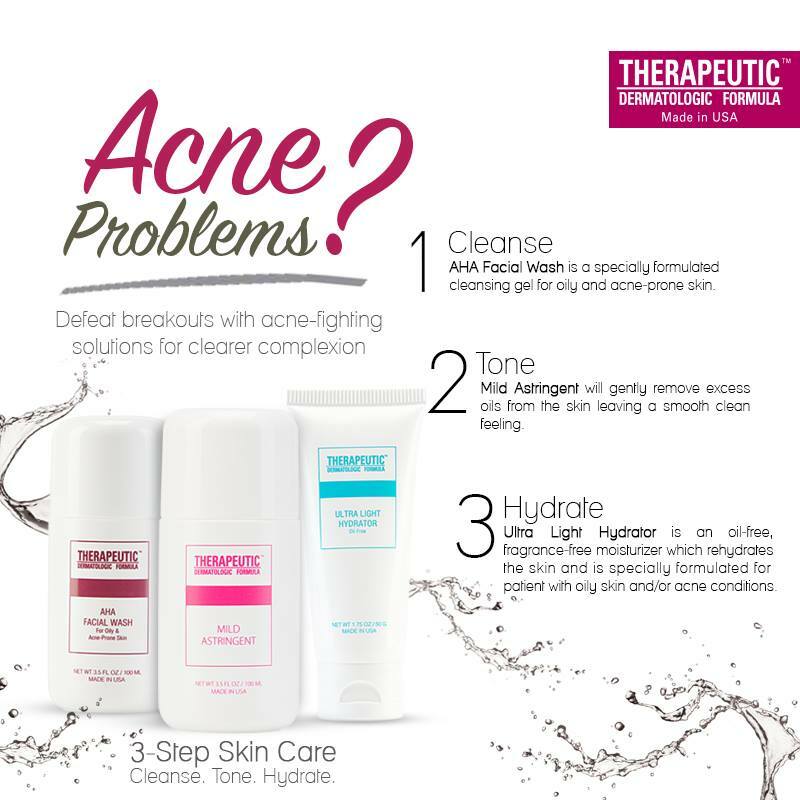 Apply mostly on your acne prone areas. Some people could be on the forehead, or some at the side of the cheeks. Moving on, we have the AHA Oily & Acne Solution 8. The number '8' refers to the 8% glycolic acid included in the solution, which is a medicated ingredient to control terrible breakouts. 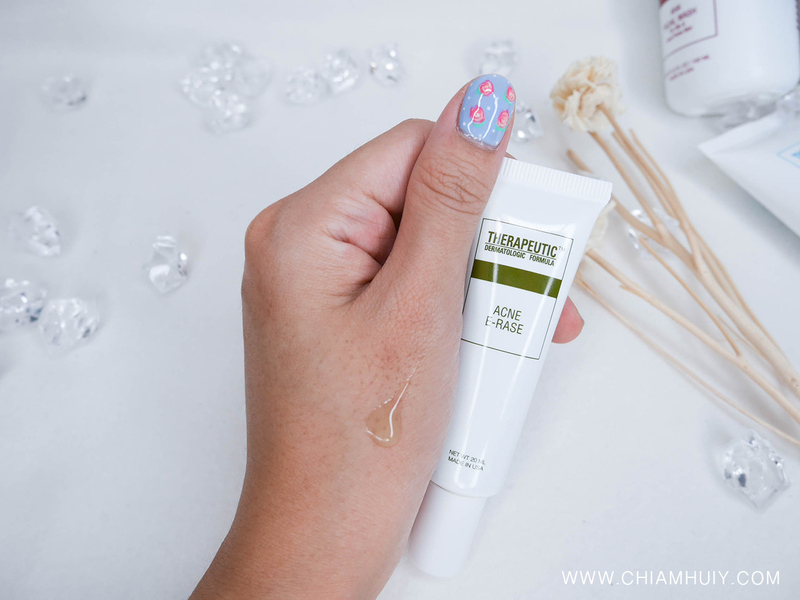 Be ready to prevent blemishes and clear up your complexion by using this solution to clear up clogged pores and correct enlarged pores! If used regularly, you may find your skin smoother and less greasy. Directions: Apply liberally on dry skin, twice daily. After a good series of products that may possible dry up your skin because of the acne-tackling efficacies, it's important that we use good hydrating products to bring back the moisture level. 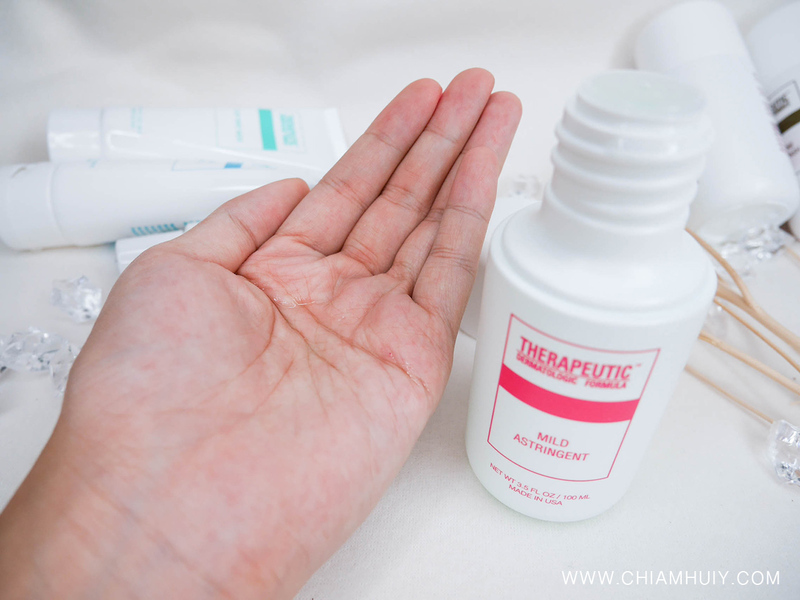 For acne prone skin, it's also important that your moisturiser isn't too greasy/rich because it may just cause you to break out any time. 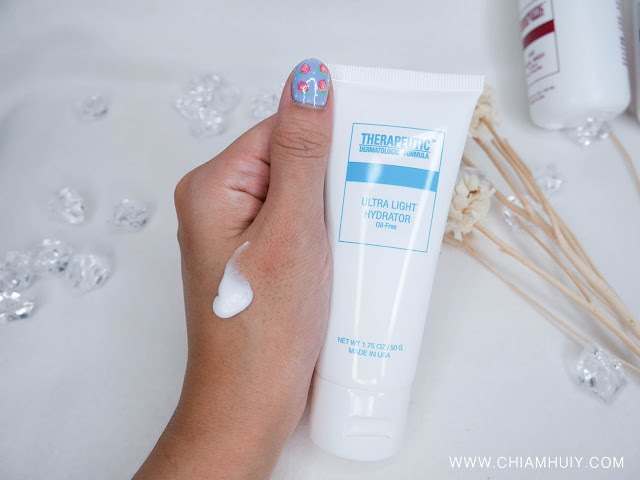 The Ultra Light Hydrator is pretty lightweight considering it is a cream-based moisturiser. But because it's cream based, I took extra caution as to how much to dispense and apply onto my face. I wanted to apply sparingly to avoid excessive application which may eventually cause breakout to my skin if a product is too rich. Thankfully, this product isn't too rich at all! 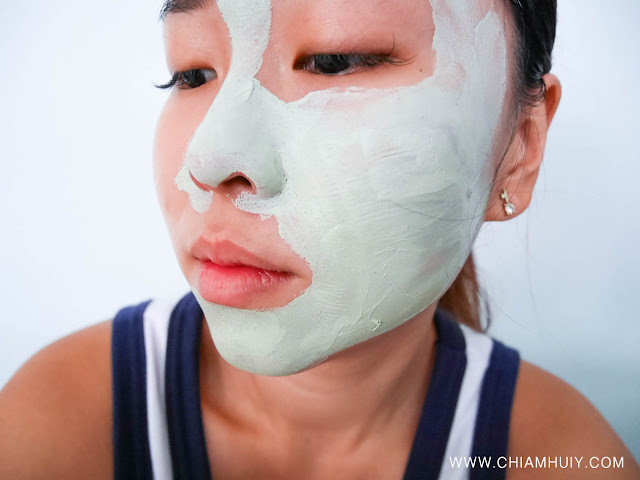 The last step to a beautiful skin is of course masking! 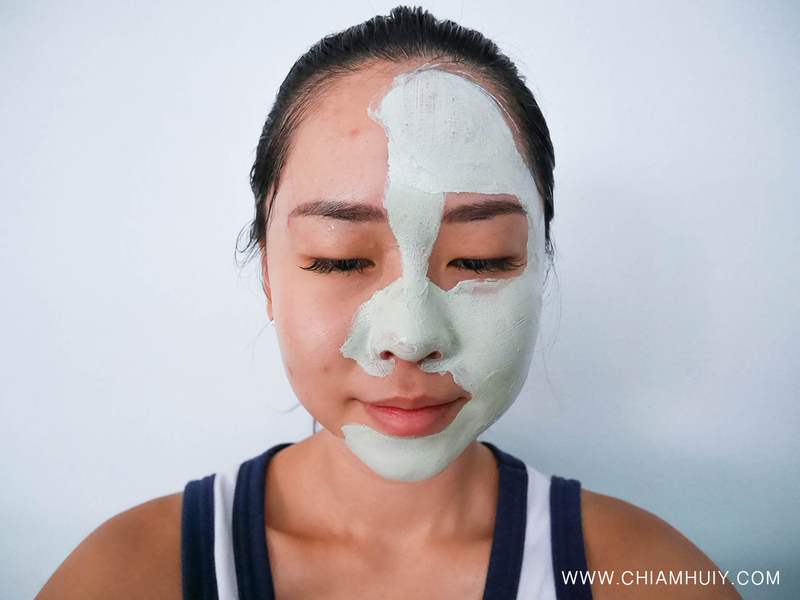 Combining natural earth clays - kaolin and bentonite, it effectively helps in eliminating impurities and clearing up clogged pores. 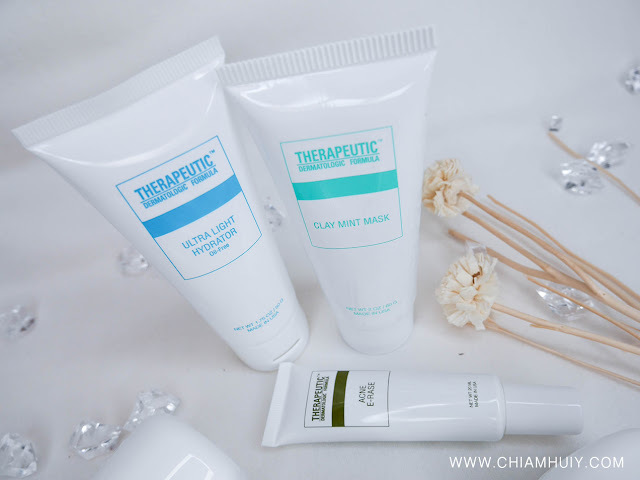 Weekly usage of this mask also detoxifies the skin and unveil a clear refined complexion. 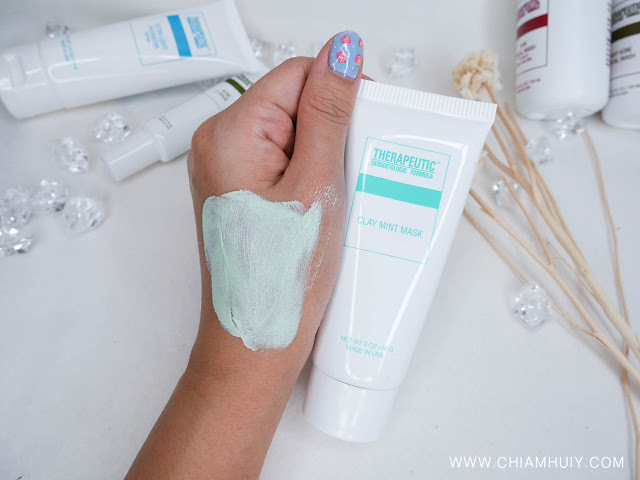 The mask smells pleasantly minty (duh) when applied, and it spreads on pretty well. It isn't too drying when the mask itself dried up after about 15mins. After masking, rinse off with lukewarm water. Finally, I'm leaving the best product to the last. 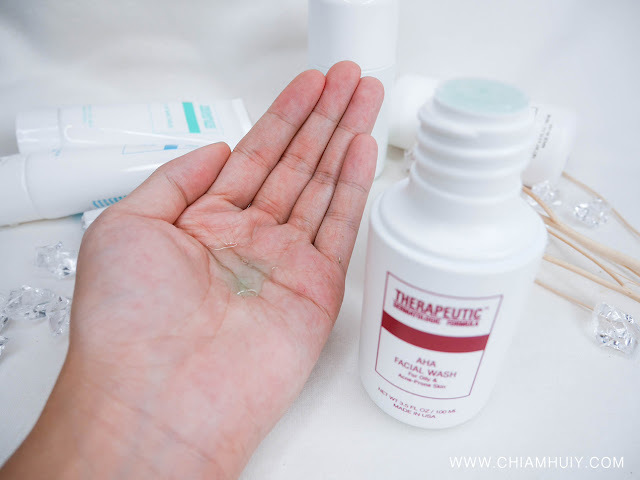 For acne prone skins, it's common that you get outbreaks of pimples every now and then (unfortunately). This would help tackle those large angry pimples because it contains a blend of deep exfoliating ingredients that control sebum production. 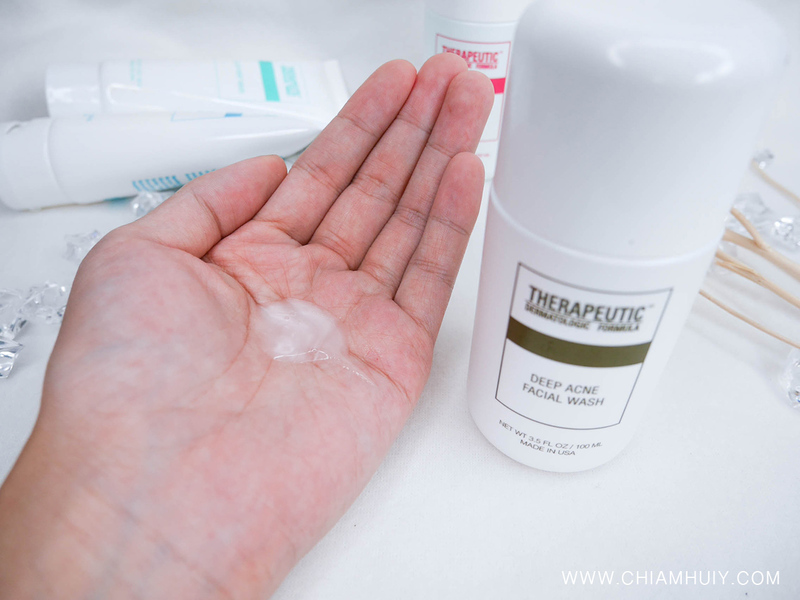 The acne treatment gel addresses future blemishes and treats existing ones too. It can be a little drying at the areas you apply, so you may just want to use at night. I also notice my concealer and makeup doesn't apply well on top of Acne E-Rase, so I try to avoid this in the day and only apply at night. Overall, I feel that this product really helps to dry up my pimples! For more information, do check out their facebook page!